With USB 24-BIT signal receiver circuits, high accuracy (3 microVolt noise level, on + / - 1Volt range). Can be connected to the generally high accuracy PH electrode(+ / - 0.1PH), circuit accuracy > + / - 0.001PH. 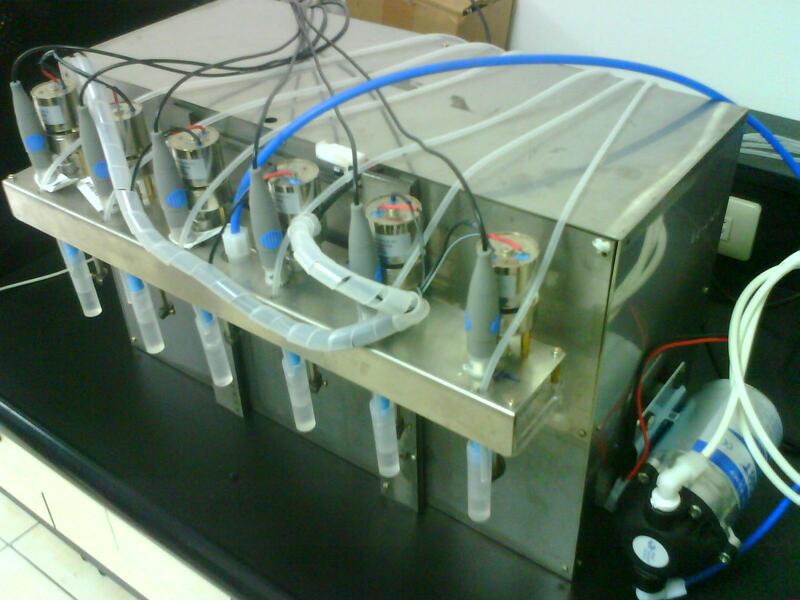 Allow various tube sizes for transportation of titration liquids to reach a broad range of titration speed demanded. Titration speeds ranges form 0.001uL/min to 10mL/min. 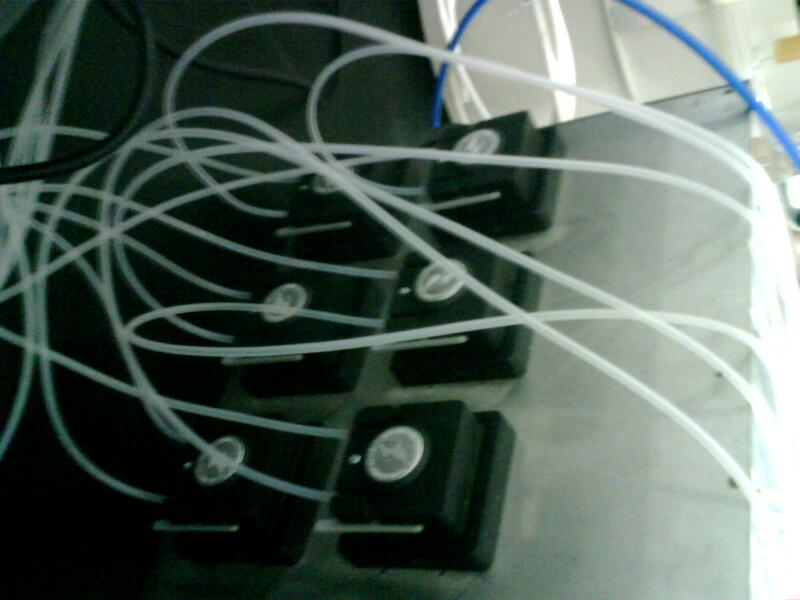 pH electrode calibration data can be set for each channel. Multi-point titration speed correction data for each channel. Titration speed speeds for different PH value sections for each channel. PH value for the titration equivalent point for each channel. PH value to top the titration top the titration. Auto-mode to find the titration equivalence point. The maximum titrant consumption for each batch of samples. Slovent mixing seconds before titration. The input of sample volume, titrant concentration, coefficient of the sample composition, and other data. Titration is completed with automatically calculations of quantitative results. Quantitative result dataincluds assay, initial pH value, and titrant used. The batched resulting data can be transferred to the WORD or EXCEL for further applications. 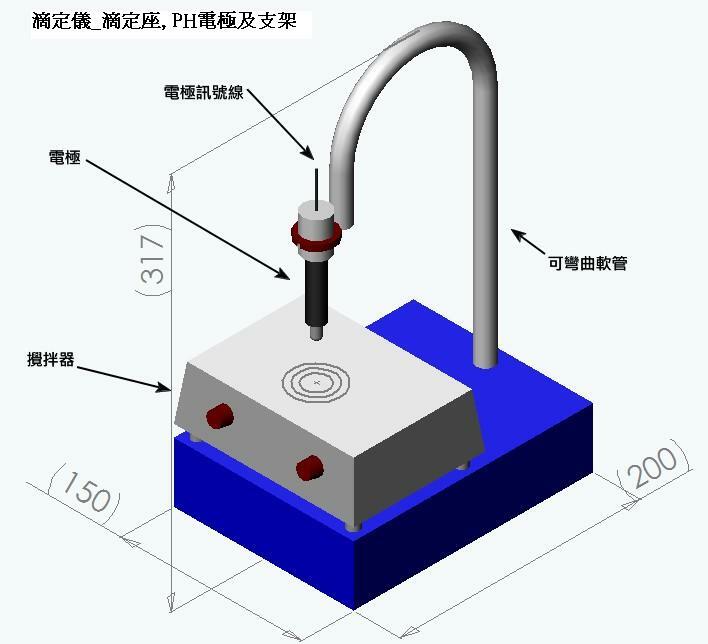 In the titration process, the locations of electrode is moved automatically, with solvent mixing, washing after titration performed automatically. The computer's CPU and memory requirements: >= Petium4, >= 2.4G 2Core CPU, >= 1G of RAM.